This is perfect, no more greasy pie tins in the fridge. This is perfect size to put any pie inside and snaps shut to keep it fresh. Love it. for me so I dont have to worry about foods spilling out when closed.Multiuse functions. I receive my as a gift and enjoyed it a lot that I bought 2 from Walter Drake to give as gifts. Keeps all my pies fresh and air tight. Now we can cook two pies at a time and they stay fresh just like the day they came out of the oven. Great for storage or just a carry all. Perfect product to use after the big holidays to save your pie or cake. A must for traveling pie-bakers! It is so handy for storing pies -- either on the counter top or in the fridge. It keeps refrigerated pies from picking up off odors. 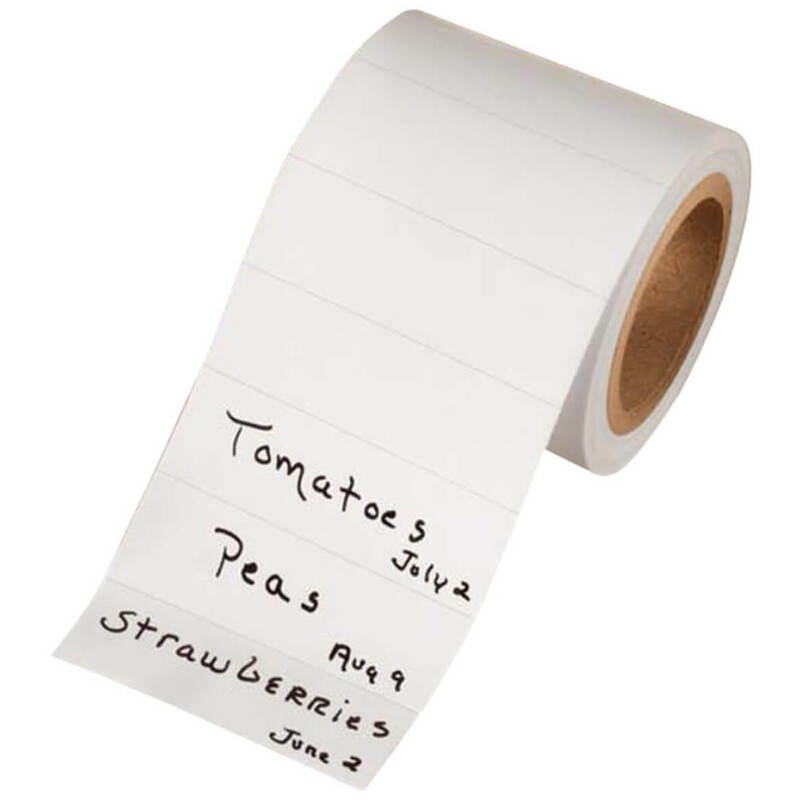 It saves space, as it can have items placed on top of it in a crowded refrigerator at holiday time. I have bought 4 for myself ! As I said , I have several and have given several as gifts . They stack well ,and easy to transport !Love the size and the compasity for a tall merange pie ! I have been looking for a pie keeper big enough for my 9.5 inch pies to fit in. This one is perfect. Who needs fancy when you have exactly what you need! I even used it as a cookie jar once & it worked! I liked this so much that I got another one for myself and got some for my daughter. When my daughter took it to an event, everyone wanted to know where she bought it. Great value for the price. It can be used for transported salads and such also. perfect-all 3 generations in our family love these keepers. the pie keeper is perfect, a good price, and i bought a dozen for all the women in the family. I use a large, deep glass pie plate for my pies, and this Pie Keeper is big enough to hold it. 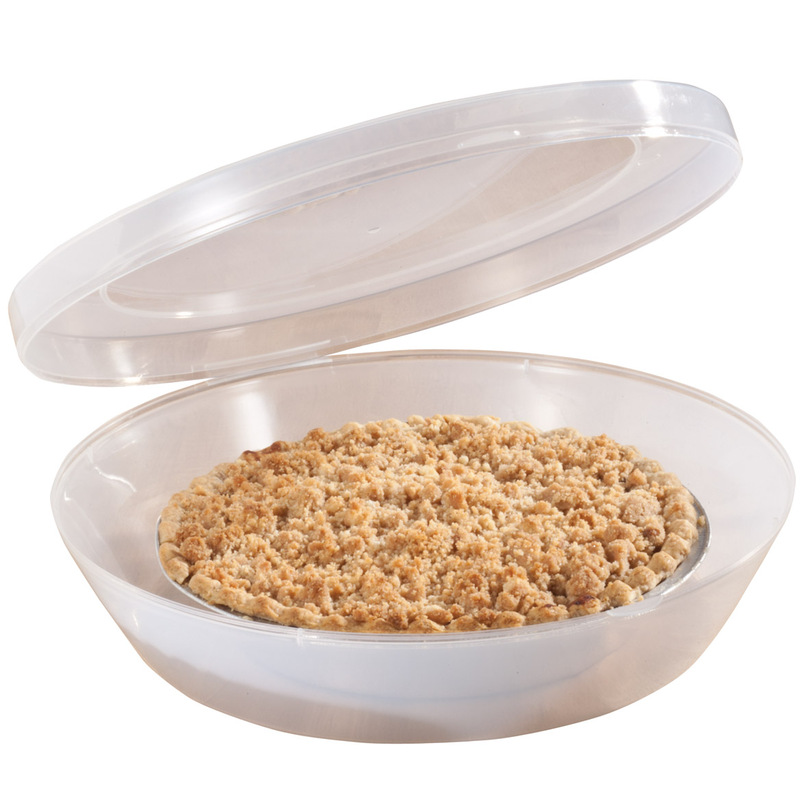 Plastic wrap or foil tends to hold moisture directly on the crust, resulting in a soggy or crumbled crust around the rim - this Pie Keeper keeps the filling moist, crust flaky, and keeps other food smells from being absorbed while in the refrigerator. You don't have to remove the pie from the Keeper to serve it - just flip it open, slice and serve pie, snap it closed, and place it back in the fridge. No fiddling with foil or plastic wrap. Great for taking a pie to a party or picnic - although I wouldn't recommend stacking a lot of stuff on it, it will protect the pie from being mashed in transit. Should have gotten these years ago! I don't know how I got through previous holidays without these pie savers. I made two pies for Thanksgiving, popped them in the pie savers and stacked them in the fridge. Kept both refrigerator and countertops clean and pies fresh and unbroken. A baker's dream! I use mine all the time and usually it's not even a pie that's in it.I did buy it as a pie keeper but soon I found myself reaching for it to keep home baked cookies and all kinds of things in it such as an open bag of potato chips or Cheetos and a couple of times I had prepared little finger sandwiches and carrots and celery sticks to bring to the office to share with my friends for lunch. I love the hinged top that snaps close real good and provides a superior seal to keep everything nice and fresh.Right now, mine is sitting on the kitchen counter with a bundt cake in it. I simply invert the container so the bottom of the cake is sitting on the lid of the container and it snaps close to keep it fresh.I have not made a square cake ever since I've had this pie keeper. I only make round cakes and bundt cakes now. I know they say it's OK to put it in the dishwasher but I choose to wash mine by hand in warm soapy water and let it air dry. I love this thing and use it all the time. I think I've had it going on two years now. In my opinion you will not be dissappointed if you purchase this item and it's a great value when you consider how you can keep things from going bad, it travels well and it takes up less space if you want to put it in the fridge. I had a pie saver and it ended up at my step daughters. So I reordered another one for me. Can't do without it. I use it for cupcakes and cookies as well, especially at Christmas. Pie Keepers Save the Day! These pie keepers really do handle the larger pies. They keep the pies fresh and are a lot neater than wrapping the pies in plastic wrap. 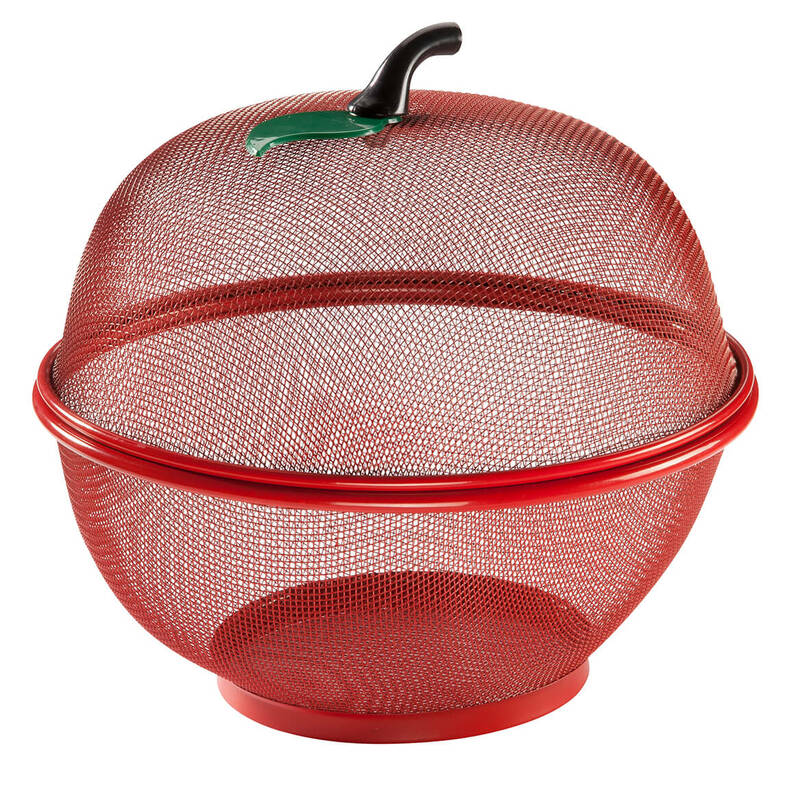 You can even "nest" them for storage when you're not in a pie-baking mood. The one weak spot is the hinge. I'm not sure how long it will last, but the pie keeper will still do the job even if it does break. So overall this is a great product. My husband loves pies. Up till now the left overs just sat on the counter with a plastic cover. Now I have a great way to store and keep pies fresh. Keeps pies safe for transport. I use this product to transport pies. Can stack multiple pies in separate containers. A bit difficult to close tight but once you get them closed, they stay closed and don't open by themselves. Very convenient to stack multiple pies in fridge w/o taking up much space. I bought two of the pie carriers and was pleasantly surprised at the size and shape. They don't crowd the pies but are also shaped to protect them. The lids are to tight and it's a bit of a struggle getting them off but the seem to be loosening with use. 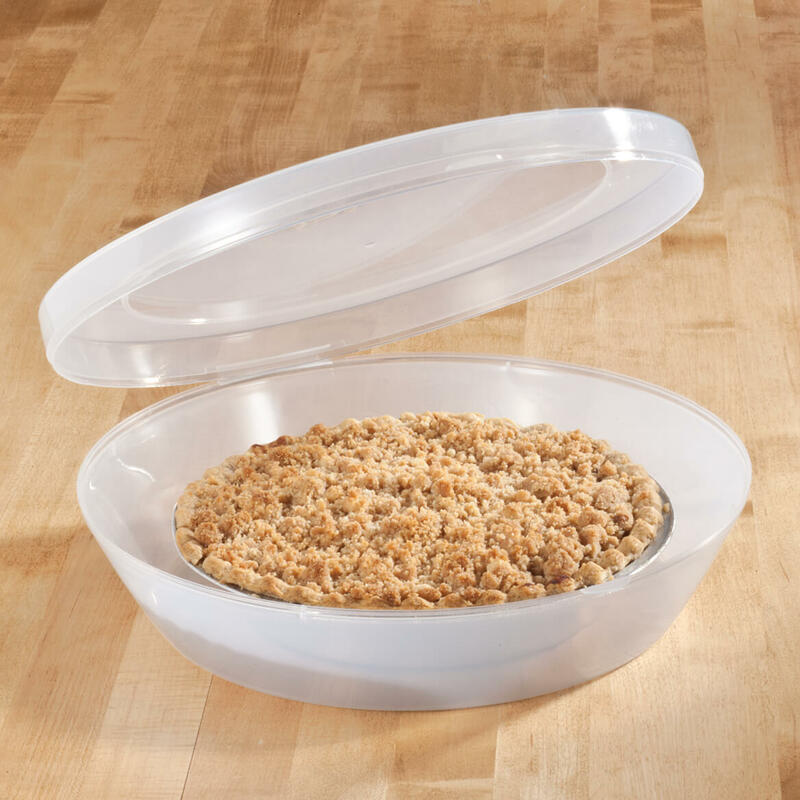 Depending on the size of the pie plate (especially if it has handles) and the heighth of your pie, this pie saver can be turned to suit your needs. This is a great way to transport a pie from one house to the other in a car. This is great for traveling to friends/family houses with your pies. The only reason I didn't give a 5 star is because it isn't exactly very very tight. I'm glad I bought it, I like the way it keeps the pies, but it seems bulky. nevertheless, it serves the purpose and I am happy with it. Haven't tried a pie yet, but worked great for tall muffins which I took out of town. Was able to keep them on the serving plate. Fit perfectly. Look forward to carrying pies in holiday season, which is always a problem. I use the product for pies. I love useing the pie keeper to take pies . I have 2 and use them when I bake 2 angel food cakes from one mix. the cakes are about 3-4 inches tall and fit perfectly into these keepers. Great for pot luck dinners. Love these keepers. Hard to open/close but not that big of a deal compared to convenience. A fine pie keeper at a fair price. I find the pie keeper very satisfactory and have used it many times. Very few pies here but perfect for jello molds. 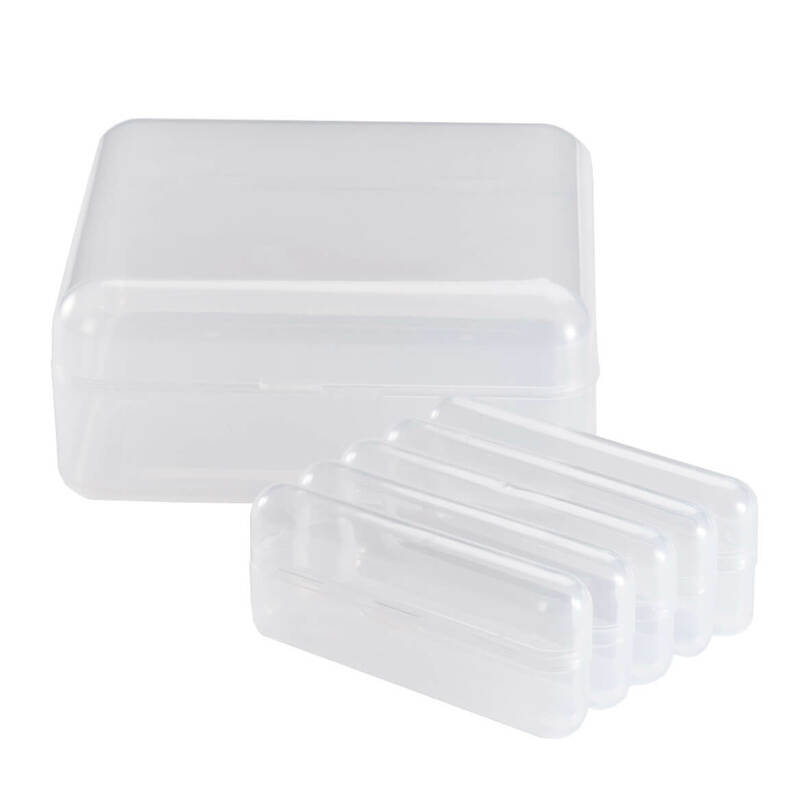 Perfect for so many things like jello molds and cooked grains storage. I liked that I could put a deep dish pie in this keeper. I am considering buying another before the holidays. Tried 2 use for pies but all dishes don't fit. They all have handles. Works gr8 4 cupcakes & cookies. I was hoping for something that was easily stored within my cabinets. Unfortunately this is not the case. The lids do not come off for nesting. The lids also are sometimes difficult to seal. More thought should be given to the type of seal. 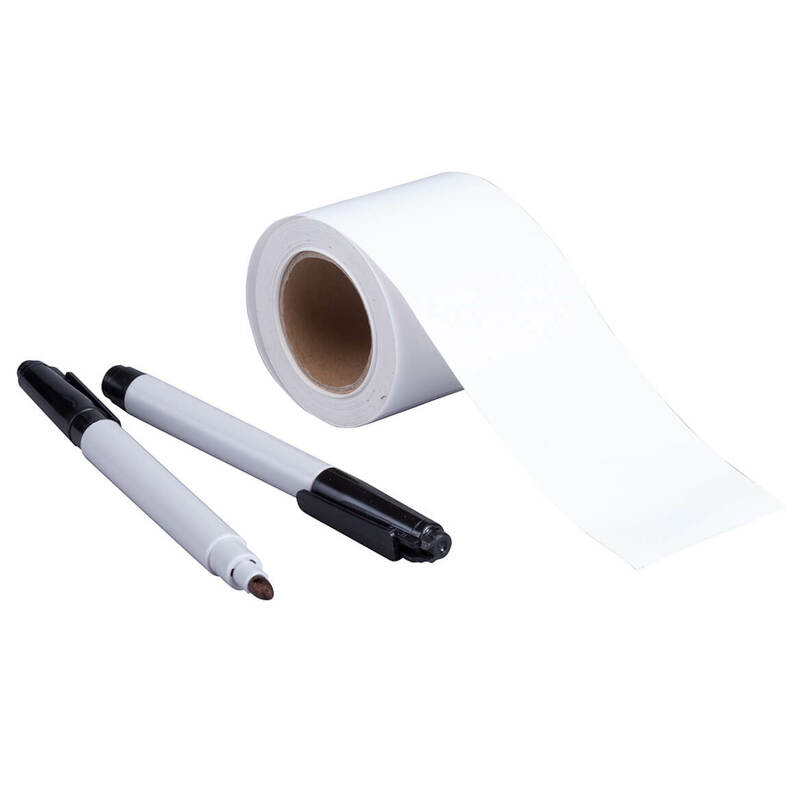 There are products for storing other items that have a seal that is airtight. That would be a more efficient seal. I had been looking for pie storage and this was the first I saw. Hopefully someone will come along with a better product. This is big enough to hold a store bought pie, not high enough for a cake. Has a plastic hinge that will probably break. Seal doesn't appear to be tight. It very hard to open. I would not have any one order one. I am very disappointed in this product. They do not seal at all and they really are too large for any pie. I thought it would be a bit smaller and easy to store. I loved them. They are great for transporting all baked goods. Ordered a set for my sister-in-law because she tried to take mine. Just great for transporting cupcakes/brownies. Have a few and Love them..
borrowed my sister's. Friends loved it also. Getting a couple for presents. Loved it for my lemon meringue pie. I carry pies to family dinners and different functions but have no carriers, also great reviews. Wanted something to safely store my homemade pie crusts in the freezer. Brought several of these for friends and family as well as using it myself it. It allows for a large pie and keep them fresh hi. I would highly recommend them. I already have two and use them a lot. A friend saw me carrying a pie in one and asked me to order two for her. So these are actually for my friend. Great product. Trying to find a convenient way to travel with pies! We like to make and take pies for the holidays. This is the perfect solution. Easy to get my order in. Needed, nothing else better for this purpose. My husband makes the best cheese cake, but my current holder takes a lot of room in the refridge, I think this one will be perfect! To keep the pies fresh. It is easier than using aluminum paper over the pie. I already have 2 and need more, they are great! I chose these pie carriers because they are stackable and at 11 3/4" diameter all of my pie pans will fit inside them. Visiting family for the holidays. Perfect for transporting multiple pies. I have my own.I want to give others as gifts. I love them. This is exactly what we were looking for and could not find in stores. Daughter needed it to transport pies. I use my glass pie plate for various dips/pies and needed a way to transport it. 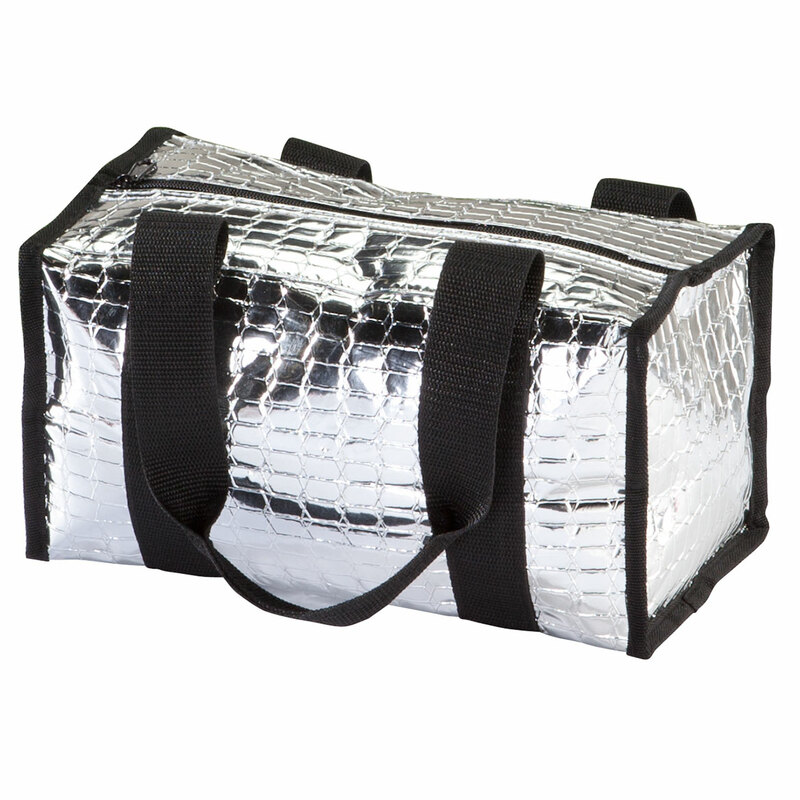 Covering it with aluminum foil or clear wrap alone makes it difficult when traveling. I hope that the hard carrier shell will help when packing the pie plate in a cooler with other items, too! I need an 18" pie carrier/wlid?? BEST ANSWER: The pie carrier that I bought from Walter Drake is not 18" so it may not be big enough for you. and would need to be taped for travel but it is wonderful to keep on counter or in refrigerator. Thank you for your question. Unfortunately, we do not carry a pie carrier that is 18". We hope this information will be of help to you. I bought 2 of them. I use them for different things beside pies. comes in handy to store paper plate in also.. I have two of these, and wouldn't part with them. They are high enough to hold a pie with high meringue. this is 11 1/2 inches wide. 18 inches won't fit - that is a big pie! This is a great pie carrier for a 12" pie. Is the lid separate or attached to the bottom? BEST ANSWER: The lid is attached. I unfortunately I dropped the carrier and the lid is no longer attached. I still use it for both storing a baked pie and empty pans. The lid is attached to the bottom. is there a handle on the pie carrier? BEST ANSWER: No there is not handle but it is the best pie carrier I have ever had because of the size. It is big enough for your larger pies not just the little 8" ones. Thank you for your question. No handle is on the pie carrier. We hope this information will be of help to you. No handle. It has come in very handy to keep a pie in. Works great! No they do not have handles but are easy to carry without. No there is no handle. I use it a lot though. No, there is no handle. will this hold a tall meringue pie? BEST ANSWER: Thank you for your question. When closed it is about 3 1/2 inches high. We hope this information will be of help to you. I don't think so but for other pies it works very well! Sure it's got a lot of top room. How do you reheat a pot pie in this? BEST ANSWER: I have not used my pie carrier to reheat in the microwave, as I use a glass plate to warm my pies. However, one could probably use the carrier to reheat a pie, & I use my pie carrier to store other foods such as dinner rolls if I am taking them to a cook out gathering. Thank you for your question. This is not made to use for heating. It is to help store or transport a pie. We hope this information will be of help to you. This is plastic. I wouldn't use it to reheat, only to transport a pie. Are the pie keepers substantial enough to stack them 4 high? BEST ANSWER: Yes. Although I only have one, I put five dinner plates on top of it and it remained in tact. Very sturdy. I've not tried to stack four high but I have done two high and there was no problem. Everything was fine. Yes, they are stable. I have three and love them. You can put a big pie or smaller pie. YES, THEY ARE WONDERFUL FOR TRANSPORTING HOLIDAY GOODIES. 11 3/4 dia is where, inside top or inside bottom? BEST ANSWER: The bottom of this container holds a huge and high pie. The top it high enough so that it does not touch the pie top. This is a really well made pie keeper. I have had 2 of them for a long time and they hold up great. I even put fresh muffins in them and they stay nice and fresh. I recommend them to everyone. Thank you for your question. The 11 3/4" diameter measurement is the top measurement. We hope this information will be of help to you. Top. It fits pies even with meringue perfect. I love my pie carrier. Can this carrier accommodate a 12-1//2 pie pan? No, it will not accommodate a 12 1/2 pie pan. What is the diameter of the bottom, since you advertise the top diameter of 11.75"? BEST ANSWER: Thank you for your question. This item measures 3 1/4"H x 11 3/4"diameter on top and bottom. We hope this information will be of help to you. I am looking for carrier for my cheesecake. Can someone tell me if the 11 3/4 diameter is from bottom to bottom side or top to top side? It looks like the sides flare out from bottom up. BEST ANSWER: Thank you for your question. The dimensions of the pie carrier 11 3/4" in diameter and 3 1/4" high, we believe that the sides do flare out. We hope this information will be of help to you. Yes, the sides do flare out from bottom up. The bottom to bottom side measures approx. 9 1/2" and the top to top side measures almost 12". Can these be put in the freezer?? BEST ANSWER: Thank you for your question. The measurements are 11 3/4" dia., 3 1/4" H. We hope this information will be of help to you.